Since its introduction almost 3 years ago, the DirectStream DAC, and now DirectStream Junior, have altered the expectations of audiophiles worldwide, and proven their ability to be upgraded in the field at no cost to their owners–obsolescence is obsolete. The Snowmass operating system upgrade provides further reductions of jitter sensitivity, lowers audible noise, improves upon the work Ted Smith performed in Red Cloud. 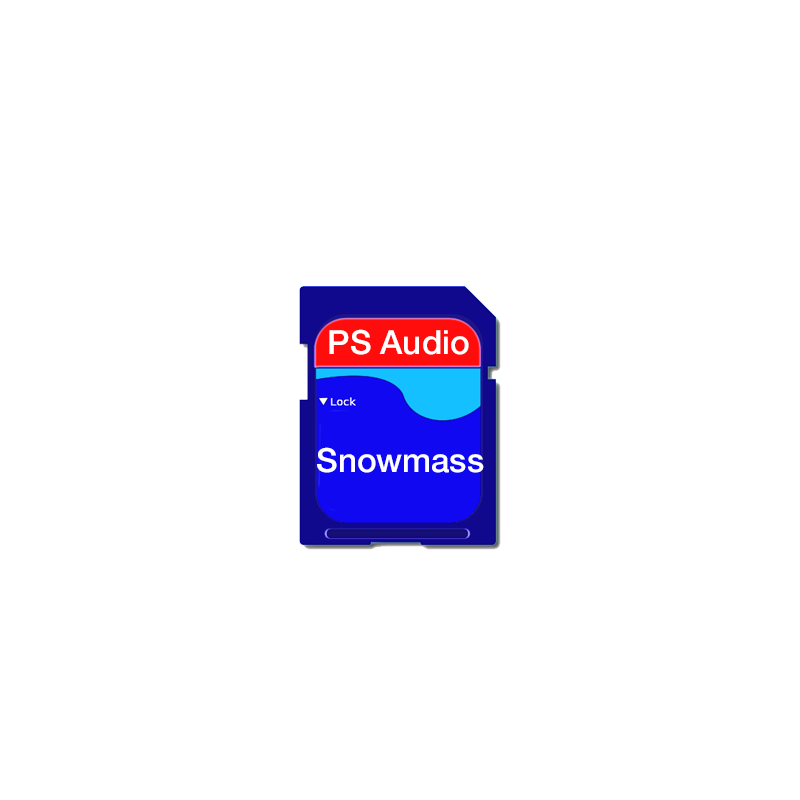 The sound quality of Snowmass is significantly better than any iteration before it. The upgrade is free via download and self-installation or by purchasing this pre-formatted SD card, or USB memory stick (DSJ only) delivered to you ready to install. Instructions for the upgrade are here. Snowmass is the latest operating system for DirectStream DAC and DirectStream Junior (DSJ). Available as a free download or purchase as a pre-loaded card, or USB memory stick (DSJ). Snowmass transforms DirectStream DACs into even higher performance level yet achieved. Snowmass improves the sound of Red Book audio as well as DSD and high-resolution PCM. Blacker backgrounds, greater instrument weight, wider and deeper soundstage, elimination of upper midrange glare, improved image separation, far lower noise, better clarity and more lifelike presentation of music are among its many benefits. Snowmass is a free upgrade for DirectStream and DSJ owners. Snowmass is the single biggest improvement yet in the DirectStream product line. It shouldn’t take long for you to hear the major improvements, big enough to call it a new DAC. Let your friends know you just got a new DAC and for free, just one of the many benefits of our unique software upgradeable DAC series. And, because it’s PS Audio, we never charge for software upgrades. For instructions on installation go here.